So What’s the Story Behind the FBI Spy Theory? Of course, the big Washington political story over the last several weeks or so had turned into a huge conspiracy theory about the Deep State – Establishment spying on the Trump Campaign. However, over the course of the last day or so, it isn’t a theory anymore. It is now more than obvious that the FBI under James Comey, the Intelligence Community under James Clapper and John Brennan, had placed a spy into the Trump Presidential Campaign. There has been a growing amount of speculation that an FBI source spied on the Trump campaign, and might have even planted a spy inside the organization. Further, it is now clear from multiple reports that the FBI had an informant who talked to a number of Trump campaign advisers. And while the ongoing discussion remains based more on suspicions — not evidence, the dominos are rapidly lining up making it much more clear of where and by whom the blame really lies. That said, if this is the case, who is the informant or spy, and is there in fact actual evidence? The answer is, yes and yes! Which then of course raises the question, how egregiously serious is all of this? To better understand this we must first understand whether this was conducted following standard FBI and Department of Justice (DoJ) operating procedures. And understanding operating procedures and guidelines, this this type of infiltration of an informant or spy into the Trump campaign would have had to be signed-off by the then sitting Attorney General, Loretta Lynch. Secondly, we also know that the identity of the FBI informant has been leaked to two media outlets; the New York Times and the Washington Post. But the surprising question is, though not unexpected, why these news organizations have refrained from announcing and publishing the individual in question’s name out of concern for national security and the safety of this person and his or her sources. Since when did the media ever care about that, unless of course it was trying to protect officials of the Obama administration, and even the Deep State. To put this in perspective, this all began with House Intelligence Committee Chairman Devin Nunes’ fight to get the DoJ to turn over documents about a possible intelligence source who subsequently helped the Russia investigation. The Wall Street Journal identified the source as an American academic, Professor Stefan Halper as the suspected informant on Sunday, but neither the White House, nor the FBI sought to acknowledge or responded to confirm it. Similarly, the Washington Post reported on this source earlier this month, and the New York Times also reported last week that the informant was an American academic who teaches in Britain — and who met with several Trump campaign advisers to include; Carter Page and George Papadopoulos, but only after the FBI was looking into their contacts with Russia. However, as it turns out the professor was more than an American academic interested in American politics — he was a longtime U.S. intelligence source, again a U.S. professor from Cambridge University, who had served in three Republican administrations, and who also had ties to the CIA. Further, as it turns out, at some point in 2016, he began working as a secret informant for the FBI as it investigated Russia’s interference in the U.S. Election and the Trump campaign. The FBI investigation targeted Trump campaign members who included; campaign advisers Carter Page, who was surveilled by the under what of course now appears to be a illegally obtained and fraudulent FISA warrant on a U.S. citizen for political reasons. Then in late summer, the professor met with Trump campaign co-chairman Sam Clovis offering to provide foreign-policy expertise to the Trump effort. Later in September, he reached out to George Papadopoulos, a low-level unpaid foreign-policy adviser for the Trump campaign, inviting him to London to work on a phony research paper. Entrapped by the FBI ploy, Papadopoulos pleaded guilty last year to lying to the FBI and agreed to cooperate with special counsel Robert Mueller’s Russia investigation. Recall that the FBI according to reports, launched its investigation into Russian interference in the 2016 election after it got word that Papadopoulos learned that the Russians obtained thousands of former Secretary of State Hillary Clinton’s emails months before WikiLeaks published them. Still, the level of description about the informant provided in these reports has prompted rampant speculation of who the source may be, all this amid Republican furor this past week about a possible effort to spy on President Trump’s 2016 campaign. Also understand that this fraudulent and factitious investigation of Trump actually was launched by the Obama administration long before the stated date in the summer of 2016, perhaps, soon after Trump announced his run for President in June 2015, perhaps in the fall of that year. So, of course there are several extremely important questions that must be answered. Who made the decision to conduct intelligence collection operations of the Trump campaign using national security procedures, methods, assets and capabilities? Who authorized the infiltration of the informant, i.e. ; “spy” into the Trump organization — and were there, and where are the documents required to authorize such an action to originate, develop the dossier, approved the FISA warrants against Americans, NSA surveillance – the list is extensive. Looking first at the FBI, certainly, FBI Director James Comey should be given an award, perhaps, the J. Edgar Hoover Award for pulling off a profound political and sinister dirty operation — which the founder of the FBI was known for against the mob and the underworld. Secondly, the question that must be asked is, who in the Obama administration also knew of the operation — my first suspect is Barack Obama himself, and if so, he needs to come forward and address the issue, and if not, he needs to go public stating he did not authorize it, nor was he aware of it. He needs to go on record denying it if that’s the case, otherwise he’s as guilty as sin. There is grave concern that by not saying anything makes or suggests he is complicit. That in itself calls for an investigation by Congress of the Office of the President (of Barack Obama). Third, because of their more than obvious role, and now also their suspect lying on the matter, former Directors of FBI Comey, National Intelligence James Clapper, and the CIA John Brennan must be at a minimum investigated…that is an emphatic MUST! I can guarantee they will be found guilty, and then MUST be prosecuted to the fullest extent of the law. Looking back, from another perspective, the explosive revelation and validation of the source first came to light when the co-founder of Fusion GPS Glenn Simpson gave his testimony about the FBI’s human source at a closed Senate Judiciary Committee hearing in August 2017. He did not try to retract it until the uproar that followed the publication of his testimony in January 2018. The latter date is significant and Simpson did not make a mistake – it reveals a lot and tells me he was dead-on accurate when he testified that Christopher Steele told him the FBI had a “human source” — i.e., a spy — inside the Trump campaign as the 2016 presidential race headed into its stretch run. It reveals the extent of involvement, the number of people within the Obama administration who were involved and who knew of Operation Crossfire Hurricane. So, that piece of information is nearly, if not virtually tell-all for multiple reasons. The suspected spy planted by Obama, Comey, Clapper, and Brennan into the Trump campaign is obviously, Professor Stefan Halper, who was paid upwards of $300,000, and perhaps as much as a million (U.S. tax payer money) to spy on the Trump campaign. Keep in mind Halper is a Deep State operative who’s ties go back to the 1980’s political left, to include now CNN’s David Gergen. If this wasn’t spying on the Trump campaign then what was the purpose of it and what was it going to be used for other than to take deliberately and intentionally and operation to take down Donald Trump? As if that wasn’t bad enough, it appears that Halper was also involved as part of a strategic information campaign, i.e. ; a propaganda attack on President Trump when he appeared on BBC News to criticize Trump as being unfit to be president: From this standpoint, it needs to be asked; “Is the Trump FBI inquiry of Watergate proportions? Answer; its beyond that by epic proportions, as I noted on talk radio this Tuesday morning. Further, the stone walling of the Congressional investigations in Congress have made one thing clear. The effort to stop Trump has gone a long way beyond a like-minded hatred for Donald Trump’s Presidency, to a major conspiracy that has existed in a hidden government made up of long-time political establishment types from both political parties which both fuel the Deep State, to its relentless attempt to remove a legitimately elected and serving sitting president from office. Americans need to realize that this total reprehensible effort by the Obama administration is extremely egregious and blatantly criminal — to the highest degree and level! We expect to see this in either third world banana republic police states, in hardline dictatorships countries like Russia, and in corrupt totalitarian dictatorships — where spies infiltrate other political parties, and are involved in setting-up political opponents for arrest by planting false information and spreading propaganda. This in itself is mind-boggling and looks like there are no bounds to the ‘we know better than you little people’ arrogance of the Obama Administration, the Democrat Party, and the political-left…and of course all of their deplorable and corrupt policies which are touted and backed-up by the mainstream media. This month, the DoJ Inspector General is expected to release the findings of its lengthy review of the FBI’s conduct in the Clinton case. The results are certain to renew debate over decisions by Comey to publicly chastise Mrs. Clinton in a news conference, and then announce the reopening of the investigation days before Election Day. The report will also contrast the effort to protect Mrs. Clinton and at the same time Crossfire Hurricane spawned a case that brought charges against former Trump campaign officials. But in the final months of 2016, agents faced great uncertainty — about the facts, and how to respond. In the meantime, Congressional Republicans, led by House Intelligence Committee Representative Devin Nunes, have begun to dig into FBI files, looking for evidence that could undermine the investigation. Much remains unknown and classified. But those who have observed the investigation up close, and many of those who have reviewed case files over the past year, say that far from gunning for Mr. Trump, the FBI could actually have done more in the final months of 2016, but agents faced great uncertainty — mainly due to the lack evidence and facts, despite the Democrats carefully crafted albeit unsubstantiated and baseless “politicized” claims, and as result were reluctant on how to respond. As a career senior intelligence officer who has served within and across the U.S. intelligence community, from tactical-combat-level military intelligence operations to the White House, it is abundantly clear, that the Obama administration deliberately and intentionally with total disregard for the law, used our intelligence community along with the FBI against the Trump campaign and early into his Presidency. Certainly, as I noted early, there are those who are criminally complicit, both by their acts, and by their public comments, albeit lies. Again, both James Clapper and John Brennan immediately come to mind. Clapper having been caught in lie after lie – he’s a moronic buffoon. Brennan, now who is more than obviously panicking, based on his most recent tweet on Sunday, as well as those prior which ventured on insane and ridiculous – it is obviously apparent by his rants that he is extremely worried about going to jail. In addition, Brennan, as it is now more than obvious, has been, without a doubt the mastermind who used his access to solicit British intelligence to create the factitious and false intelligence needed to create the now famous phony dossier. Finally, I must say this again as a former career senior intelligence officer, Mr. Brennan as a former CIA Director, is a despicable human being, a political stooge, who has disgraced himself, the office of the Director of the CIA, and the professionalism of the intelligence community. Too that end, yes I believe there was an operative, or a spy reporting within the Trump organization who was used intentionally to provide information on internal activities about the Trump campaign to the Democrat Party and the Clinton campaign. Before revealing the name of the spy, it is now more than obvious that the FBI had a “human source” — i.e., a spy — inside the Trump campaign as the 2016 presidential race headed into its stretch run. And what about Lt General H.R. McMaster? Did he play a later role, once he became national security advisor in February 2017? Did he contribute to the cover-up, and did he authorize continued FISA surveillance that took place up until April 2017. Just a question and a concern of mine. Likewise, what about former Deputy Attorney General Sally Yates, what does she know and what was her role and motives, as everything she has said is now suspect. Needless to say, there are still some many unanswered questions that will no doubt be revealed, perhaps soon. 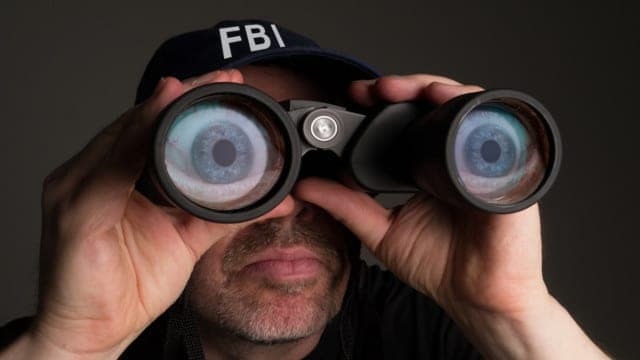 And certainly one last concern, that being the fact that the concealed FISA documents may hold the secrets to who authorized the surveillance of Trump officials…when we finally find out about the rest of these, Directors Comey, Clapper and Brennan will all be wearing orange suits, or hopefully worse. The President should also order the declassification and disclosure of any information that reveals, illicit, illegal and criminal misuse, abuse and federal violations by the Obama administration and others. Perhaps, between the results of the DoJ IG report and a subsequent DoJ investigation will present the truth about what actually occurred. Then we can go forward, after which, “treason,” will by and large be the only term that comes to mind for this bunch of power hungry traitors who deserve the fate of all traitors – at the end of a rope!